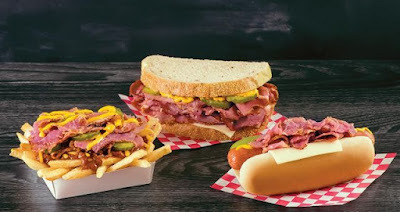 Pastrami returns to Wienerschnitzel for a limited time and brings with it new Cereal Shakes. - Pastrami Sandwich - 5 ounces of pastrami, Swiss cheese, mustard, and pickles on rye bread. - All Beef Pastrami Dog - An Angus beef hot dog topped with pastrami, Swiss cheese, mustard, and a pickle spear on a steamed hot dog bun. - Pastrami Chili Cheese Fries - An order of fries topped with the chain's signature chili, shredded cheddar cheese, pickles, pastrami, and mustard. 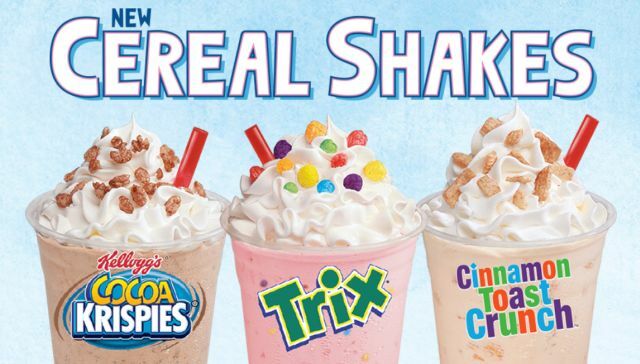 The chain also introduces new Cereal Shakes. They come in several flavors, including Cocoa Krispies, Trix, and Cinnamon Toast Crunch, and are available for a limited time through April 2018 at participating locations.